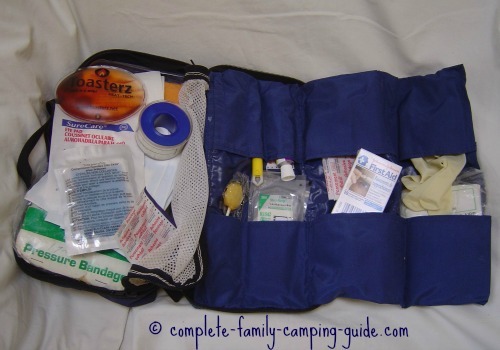 Taking a first aid training course before you go on a camping trip is a great idea! It is the initial care given after an injury. Have you ever washed and bandaged a skinned knee, or put ice on a bumped forehead, or transported someone to the emergency room? If so, you have given first aid! Taking a first aid training course before your next camping trip will give you the confidence and knowledge to deal with whatever comes your way. You'll learn basic first aid instructions as well as how to cope with larger emergencies. Who needs to know first aid? If you are going into the backcountry, you'll definitely want at least one member of your group to have first aid training. Having the know-how to deal with anything that happens will give peace of mind - both to your party and to your loved ones at home! If an injury happens, first aid knowledge can make the difference between a minor inconvenience and a disaster - or even between life and death. Even if you are camping in an established campground or close to an urban area, knowing first aid is a really good idea. You'll feel confident, knowing that you have the knowledge to take care of anything. Being able to deal with minor emergencies effectively may mean that you can avoid a trip to the hospital. Good first aid training courses generally involve lots of hands-on practice. You'll learn CPR (cardipulmonary resuscitation) and you'll learn how to manage a variety of injuries. You'll learn about the essential supplies to have in your first aid kit. You'll probably also receive a first aid manual to keep. When you are ready to take a course, look for a qualified and certified training provider. St. John Ambulance and the Red Cross are two well respected first aid education organizations. There are also private companies that offer first aid courses. Be sure to check their credentials carefully. You can even take an online first aid course. While these courses lack the advantages of hands-on practice under the supervision of a trained first aid instructor, they might be better than nothing. If you've taken a first aid course in the past, an online course can be a good refresher. I encourage you to take a first aid training course - and I hope that you never need to use your first aid knowledge. Now that you know how to find a first aid training course, click here for basic first aid instructions for camping. 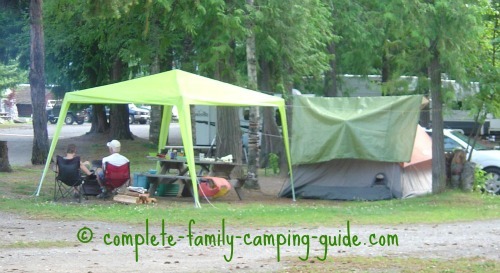 When you are ready to plan your next camping trip, visit the Complete Family Camping Guide home page. You'll find lots of helpful information!